We have been appointed the authorised Parker P1/PD Piston Pump build centre, servicing, supplying and supporting distribution throughout Australia. 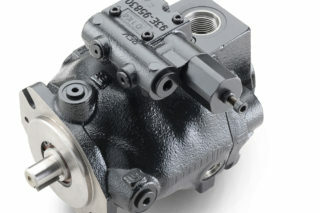 A proven high-quality piston pump, the Parker P1/PD features a rugged cradle bearing design ideal for optimal performance in medium pressure Mobile (P1) and Industrial (PD) applications. We have a dedicated build centre, stocking parts & pumps ready to be configured to your specification. For more information, technical data & operational benefits for your application needs contact our hydraulic team for a tailored solution.